Dr. Gerlach, you have been working in Yemen for years. What is the current state of the cultural heritage of the country? 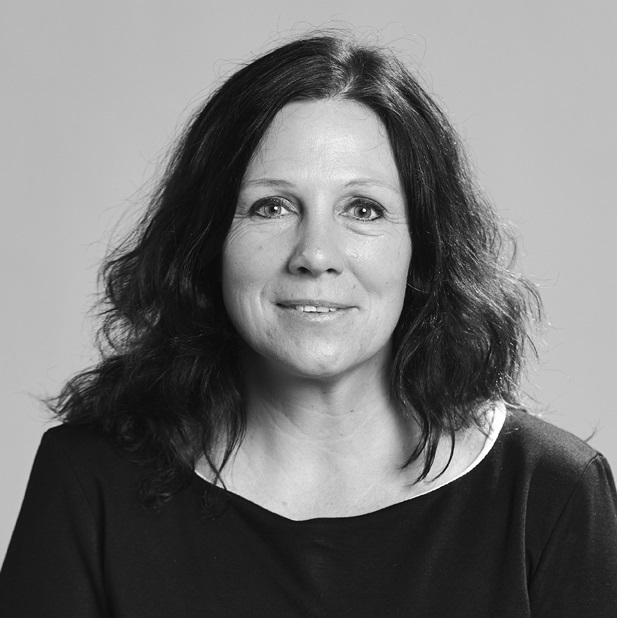 Dr. Iris Gerlach, director of the Sana’a Office of the German Archaeological Institute | © DAI. Since the end of 2013 it has no longer been possible for me to be in Yemen, but we are supervising our projects from Berlin. We are in constant contact with our Yemenite colleagues at the General Organisation of Antiquities and Museums (GOAM). This close contact makes it possible for us to retain an approximate overview of what is happening to the cultural heritage of the country. Even our Yemenite colleagues are unable to travel in all regions because of the war situation. This means that we get information of varying quality from each province, which in most cases is filtered. The situation in the country is very difficult because of the security conditions. Nonetheless, we know that extensive pillaging and looting of sites has taken place. This applies particularly to the northern part of the country and the desert margins, where the centres of the ancient kingdoms of South Arabia are located. Moreover, unauthorised construction work has been carried out at the antique sites and stone have been stolen. Museum pillages occur primarily in the southern part of the country. In addition, serious war damage can be observed. This is a varied mixture of different things, although the first issues were already a problem before the outbreak of the war. You launched a new project: AYDA. What is it all about? AYDA is the acronym for Ancient Yemen Digital Atlas. The idea behind the project is to register digitally all the known monuments and sites and primarily the country’s antique sites in an internet-based heritage information system. This system is set up and maintained in collaboration with our Yemenite colleagues. It is also available for scientific matters but it primarily serves the Yemenite Antiquities Authority for the management and protection of the national cultural heritage. The idea of such a project is not new, but so far none of these projects has been successfully implemented. Yemen has no systematically registered list of its sites yet, not even in the simple form of a register of monuments. For this reason the digital atlas will also fulfil this function; however, it will be much more wide-ranging. The atlas is simply and intelligibly structured and easy to use. In addition – and for this reason our work is fundamentally different from other attempts – this is not a mere analysis of aerial photographs or satellite images; rather all the registered monuments were verified either through positive verification on-site or through reliable specialist publications. 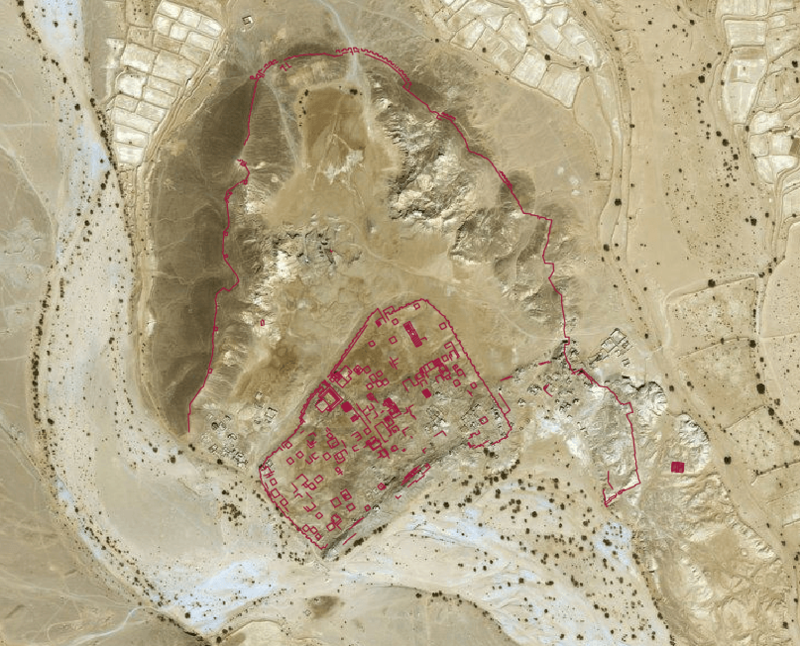 Antique heritage sites in Yemen are mapped by the AYDA project. Photographs, drawings and other data can be linked with the locations | © DAI. What does the application mean in practical terms? The idea was to create an information system using a map, i.e. a geographic information system (GIS). So an existing archaeological map was used as a basis. It was digitised, georeferenced and the represented sites, once checked, were registered. Then our proper work started. Further available sites were added based on the extensive data sets hosted by the Sana’a Office (DAI). The data base will be completed by sites of other projects that have already been published. 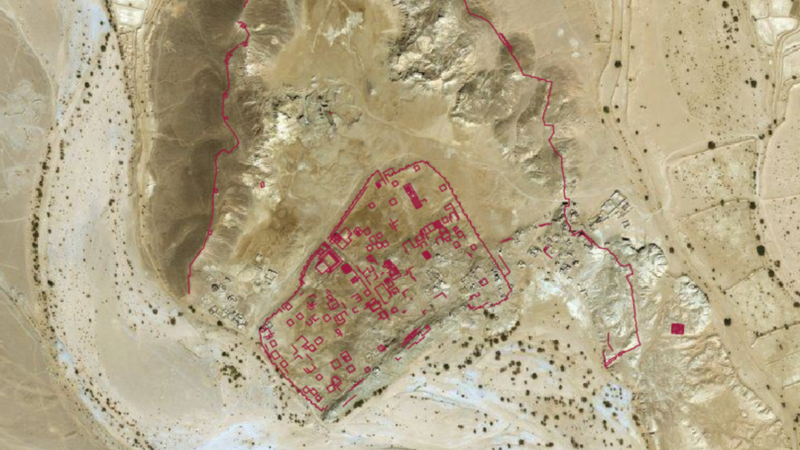 The Yemenite Antiquities Authority moreover has a huge stock of data. They will be responsible for the input of this information. Lastly, extensive data will be available via the GIS for each site, which implies an interconnection with a wide range of data banks. The Ma’rib site, for example, is the focus of our work at the Sana’a Office. A huge stock of data is available for this site. Ultimately, maps, plans, drawings, excavation reports, photographs, etc. will be accessible via our system. We are also integrating foreign data banks such as the data bank established by DASI, a project by our colleagues from Pisa. In this way, AYDA will be given a scientific component, as this will be a fantastic tool for handling scientific issues using a GIS. For example: show me all the hydraulic buildings dated to the 1st millennium BC in their geographic and hydraulic context. The possibilities are very wide-ranging and scientifically relevant through their linkage with extended data. For our Yemenite colleagues this also means keeping an eye on all the Yemenite sites. Third, and this is important in times of war: we can guarantee very good monitoring of World Heritage sites. Why is monitoring so important? As I said before, currently it is difficult to travel safely across the country and to gather data. Therefore it is essential that we combine aerial photograph evaluations, old photographs, satellite images and the information collected on-site which we receive from our colleagues in Yemen. There is no other way of getting information about the damage. By comparing these data with Google Earth images we can, for example, map damage caused by bombardment. We can also register looting, stone robbery and illegal construction activities. When we become aware of such cases and when protection measures become necessary at a site, we inform our Yemenite colleagues. Together we evaluate the damage. If the antiquities authority or the responsible authorities cannot intervene immediately, at least the matter has been documented and if necessary the world’s public informed. Thanks to the monitoring we have an idea of the state of a monument or a site before, during and after the war. Based on scientific research and the monitoring we can finally develop joint strategies as to how to deal with a site in the future. As is the case for the ArcHerNet project “Stunde Null – A Future after the Crisis”, the heritage information system will be used for the planned reconstruction in the aftermath of the war. The satellite image of Ma’rib makes it possible to detect unauthorised construction activities | © DAI. What programme is used to implement AYDA? We work with the Open Source Programme QGIS. We have chosen this programme deliberately because it is freely accessible to our Yemenite colleagues. We collaborate closely with the information technology unit of the German Archaeological Institute and we also have a staff of programmers. Because of the decade-long work in Yemen we can rely on a large cooperation network. In addition to our cooperation partners in the field of archaeology we cooperate closely with, for example, Christian Weiß at the University of Nürnberg/Erlangen in the fields of geology and restoration, and with Prof. Dr. Norbert Nebes at the Friedrich-Schiller-University Jena, chair of Semitic Philology and Islamic Studies, for the inscriptions and historical interpretation. Our contact people in the field of 3D reconstructions and geodesy are at the HCU Hamburg. Geographers at the University of Tübingen and the Freie Universität Berlin also participate in the project. A team from the Sana’a Office here, at the German Archaeological Institute in Berlin, is also involved: Josephine Schoeneberg collaborates as a freelancer with Holger Hitgen as regards the GIS implementation; Sarah Japp and Mike Schnelle are responsible for the technical concept developed for the data migration and the image archiving programme. The project is part of the Archaeological Heritage Network. We are interconnected in multiple ways. Who will and could use AYDA in the future? The plan is to make AYDA accessible for selected scientists and cultural institutions. The user interface was translated into Arabic with the financial support of the Cultural Preservation Programme of the German Federal Foreign Office. This makes it possible to activate the system for our Yemenite colleagues at the antiquities authority, who update the programme by entering new data and sites. This is important work in order to guarantee accurate monitoring, which is the basis for preservation and possible later development for the public. A complete activation of the system for a broader public will be restricted, because the dissemination of sensitive data, including exact coordinates, can attract the attention of potential site looters. Satellite image of Shabwa, the capital of the ancient South-Arabian kingdom of Hadhramaut |© DAI. Is the application transferable to other countries? Yes, generally, the project can be transferred to other countries. For example countries such as Ethiopia, where the Sana’a Office is also active, would be suitable. Irrespective of whether or not a country has been affected by war, cultural heritage can be endangered by multiple factors such as infrastructural development or looting. Several countries lack the financial means to create their own systems for registering and managing of their sites. Currently, relevant registers are an important factor for the safeguarding of the national cultural heritage. A modification of the existing system to suit the requirements of other countries would therefore be significantly less time-consuming and cost-intensive compared to a complete redesign. AYDA is available for other interested parties. What do you expect from the project as a whole? First, it is my wish that it will be possible to implement measures for the protection of cultural heritage thanks to AYDA and that at the same time the archaeology of this region will be provided with a scientific tool which not only offers systematic structuring and accessibility of information but which also answers issues related to the cultural development of the country. Second, I hope that the archives will be systematically classified and maintained by the system. I hope that a sustainable implementation of the project will be possible in order to achieve the objectives in an appropriate manner. As regards this latter issue, I am convinced of the success of our project as it will in the future be hosted by the German Archaeological Institute, which – as attested by its almost 190 years long history – is reliable and can guarantee sustainable data archiving and maintenance thanks to its IT unit. This differentiates us from other projects. Many thanks for this interview Dr. Gerlach!